When I attended NIS America's press event in LA last year, I truly enjoyed what I played of the then-upcoming Penny-Punching Princess, but I've yet to actually sit down and play the full game for myself, despite those positive impressions. 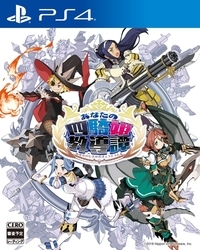 Hopefully, NIS's follow-up in The Princess Guide won't suffer the same fate. 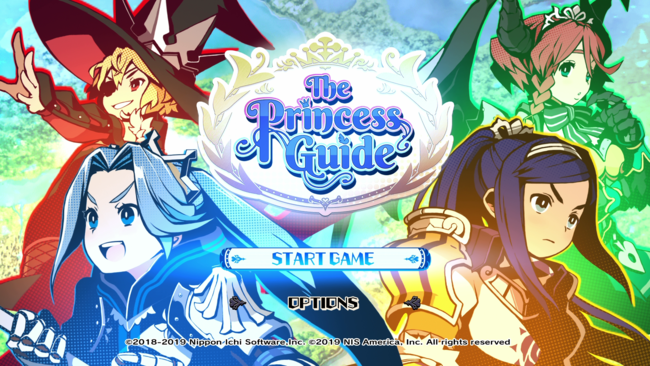 The Princess Guide, although it runs on what is very obviously the same engine as Penny-Punching Princess, plays decidedly differently. 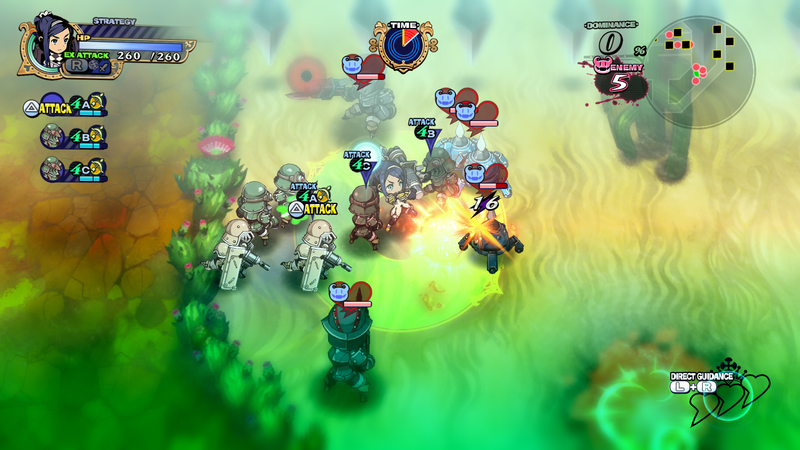 Instead of gathering cash to use a magical calculator to buy out enemies and traps, players take control of a squad and power through missions, usually with one of four Princesses at the helm. Players take the role of a once-famous soldier that now spends his time writing novels, and who has now decided to leave a legacy via acting as an advisor for one of the four Princesses of the land. He works to help their respective countries prosper by guiding their princess to the skills that they'll need to fulfill the desires of the populace. ...or, something like that. In practice, the plot seems to be only marginally less light-hearted than Penny-Punching Princess, and both NPCs and the various Princesses have their portraits joyfully animated past what anyone might consider "overkill". Combat, by all means, is relatively simple but isn't actually the main focus of the game. Both in battle and during some cutscenes, players can choose to either Praise or Scold their selected Princess, bestowing an effect in combat and influencing her evolution outside of missions. During missions, combat plays out somewhat similarly to (what little I played of) Penny-Punching Princess, albeit without the calculator mechanic, with that being swapped out for formations for your unit and the aforementioned ability to Praise or Scold your Princess. 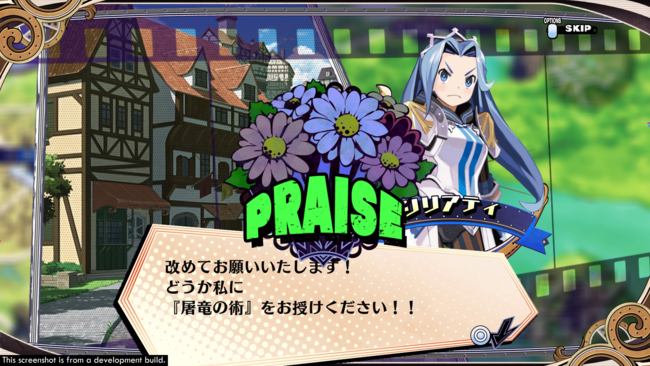 Praising seemed to raise my Princess' attack speed in the demo I played, while Scolding raised her attack. Interestingly enough, as missions begin to populate the overworld, you'll actually have to send and retrieve your units to each mission, lending me to believe that further into the game you'll be forced to micro-manage multiple units at once as they're darting across the game board. However, during my short hands-on time with the demo, I didn't get a chance to experience how the mission structure might change once you get deeper into the game. I'll have to wait to see how that pans out in practice, but for the moment it's definitely promising. A NIS America representative confirmed to us that player will be able to check out the beginning moments for each of the games 4 Knight Princesses - Liliartie, Veronica, Monomaria, and Alpana - before ultimately making your final choice, and at least I'm definitely interested to see how things pan out closer to the game's launch in late March.